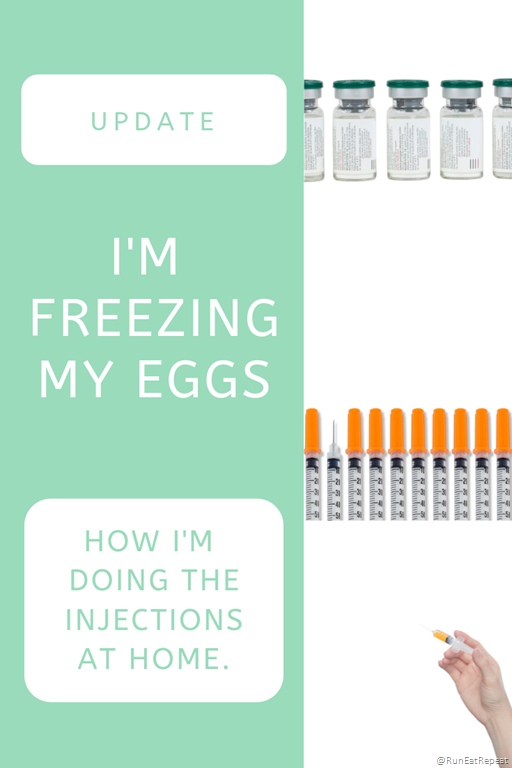 The next step in how the process of egg freezing works – this is all about the shots. I mentioned in my last video that I thought the shots I was going to have to give myself where going to be super easy – like an epi-pen. I thought they’d be automatic and I’d just click it into my stomach super quick and easy and be on my lil way. It was a lot more complicated than that. I think the fact that I assumed it would be so easy but then realizing it was a real injection made it more difficult. My expectations were incorrect and that led me into this process a little more overwhelmed than if I knew from the start it would be a real shot with real measurements and real needles. Note: No one straight up told me it was going to be an epipen style injection. I saw that some of the shots are available in a pre-measured and ready to go injection like an epi-pen in my research. And I always assume medicine and technology are moving fast and updating faster so if I see something online – tech or in this case medicine is already a step ahead. 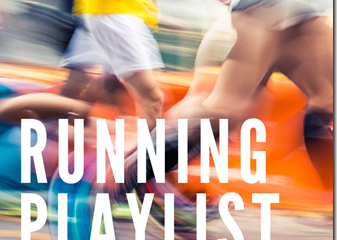 I don’t know why I think that… maybe wishful thinking? Well, at least I have an optimistic mindset – right?! The point is – I had to give myself REAL shots with REAL needles. And I had to mix some of the injections with liquid and/or mix them together to get the right dosage. So I was combining multiple liquids and vials of medication and carefully filling up the shots for the prescribed dose. Then, cleaning off my stomach with a little alcohol wipe and giving myself the injection. I’ll go into more detail on the step by step process of the injections soon. But for now I wanted to share a short video of me actually doing one of the injections for anyone that’s curious or wants a peek at what it’s like. I wish I would have had a video like this to watch before I started the injections and then I might have had more realistic expectations. Maybe. 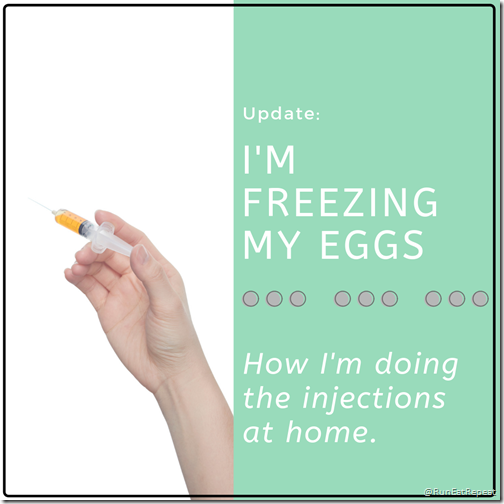 and now I’m covering how the injections are going! 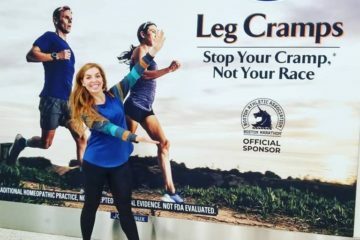 Please be sure to follow @RunEatRepeat on Instagram for the latest updates and posts! Got any questions? Ask! Or Let me know what I should post about next! 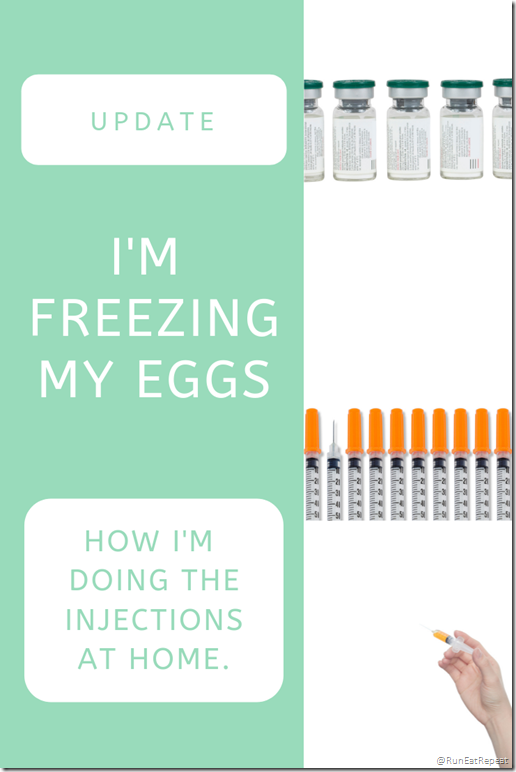 Note: I’m freezing my eggs and sharing the process through a series of blog, social media and video posts. I’m sharing MY journey through real time video updates and check-ins, but please remember I’m not a medical professional. These posts are not intended to be suggestions or advice for anyone – they’re just a documentation of my egg freezing experience. Always check with your doctor before changing your diet, routine or doing any medical procedures.